These turquoise stone charms are hand set in detailed sterling silver with the fortuno "Polaris" icon at the bottom and the signature granulated bale. Turquoise, white topaz & pink tourmaline crosses & ankhs in sterling silver. 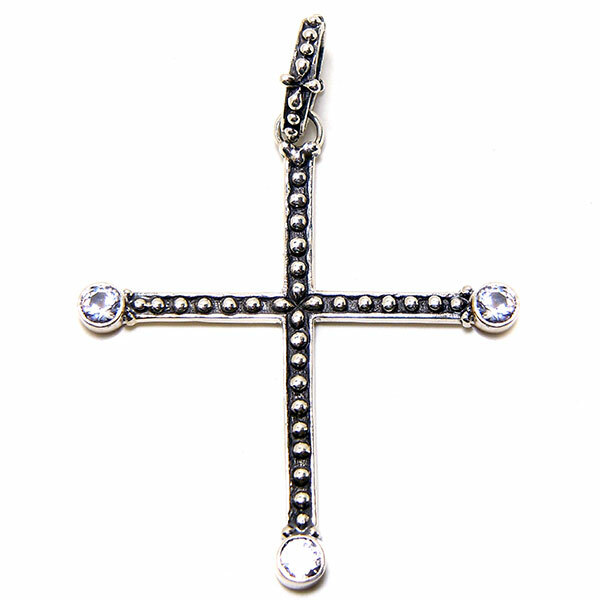 Signature Fortuno cross & ankh charms with granulation, clovers & set with three stones.